Professor of Health Economics in the Centre for Health Economics at the University of York (UK), and Visiting Scientist at the Luxembourg Institute of Health (LU). Editorial advisory board member of the scientific journal Value in Health. My research focuses on developing methodological solutions to address the issues faced by policy makers when trying to analyse and interpret health economics and outcomes research data. This involves the use of statistical and decision modelling techniques for the analysis of cost‑effectiveness data, including quantitative evidence synthesis and health econometrics methods. 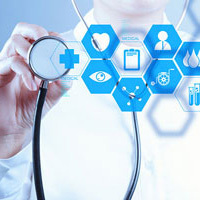 I have more than 18 years experience in my field and I have evaluated a wide range of health technologies (therapeutic medical devices, drugs, diagnostics and non-pharmaceutical interventions) in several clinical areas including oncology, cardiology and respiratory diseases, diabetes, chronic pain, surgical interventions, obstetrics and gynaecology. I am recognised for my methodological contributions to the analysis of multinational individual patient‑level cost‑effectiveness data, where the objective is to inform reimbursement decisions in different jurisdictions. This work received the ISPOR Award for Excellence in Methodology in Pharmacoeconomics and Health Outcomes Research in 2008 (https://www.ispor.org/awards/methodology_.asp). I have received a number of other prestigious scholarships and awards from the BackCare Society (2004), the Wellcome Trust (2007), the UK National Institute of Health Research (2009). I am member of the NICE Technology Appraisal Committee, Deputy Chair of the UK National Institute of Health Research (NIHR) Doctoral Research Fellowships panel, and member of the ISPOR Bernie O'Brien New Investigator Award panel. For the past few years my research agenda has focussed on the economics of stratified and personalised medicine.